I think this turned out as a huge success! I was worried people wouldn't recognize who I was supposed to be, but it was a silly worry! I was first recognized in the elevator, where someone commented about the elevator being over full and another person responded: "Don't worry. Nova won't let anything happen to us." Every time someone recognized me, they felt the need to say it. As I walked down the street or through the building people did double takes and shouted "Nova!" 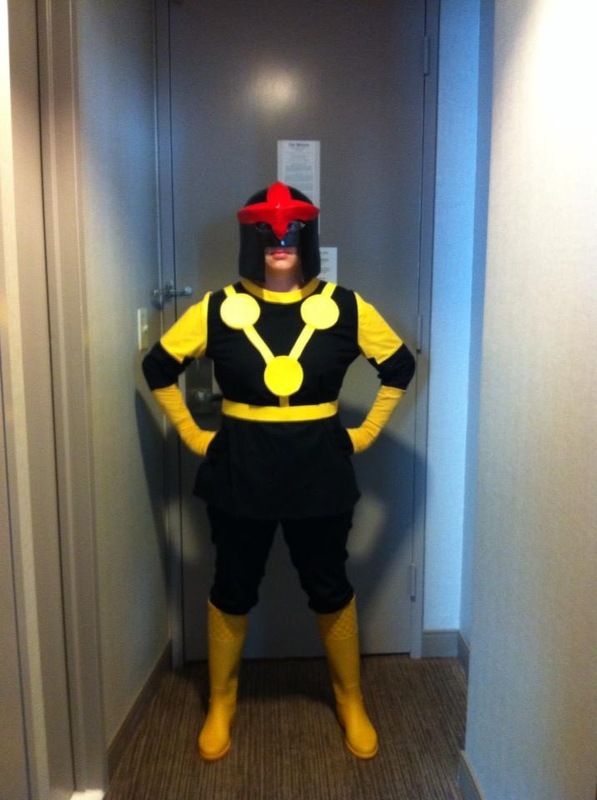 Someone commented that I was the first female Nova they have ever seen. And several people stopped me and asked for my photo. I saw only one other Nova the entire weekend, and he was cosplaying the Richard Rider Nova. Unfortunately I was unable to snap a picture of him, and it was on a day I wasn't wearing my Nova cosplay, or else I would have gotten a picture of the two of us together! Also worthy of mention, the outfit was not stifling (I didn't even come close to dying of heat exhaustion!) and the helmet was fairly comfortable. After wearing it for twelve hours it did start to hurt my nose, which gets mashed flat by the front of the helmet, but considering it took that long, I'm still counting it as a success. 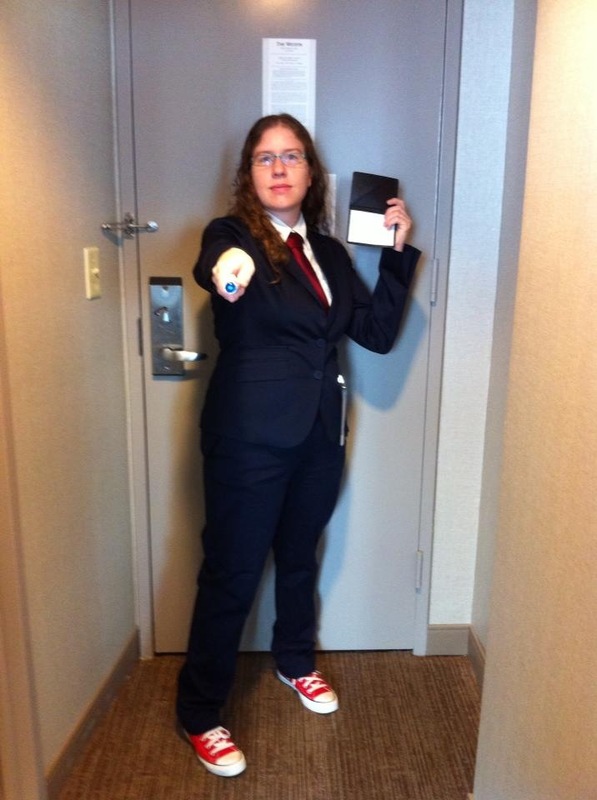 Nova was my Saturday cosplay, but on Friday I cosplayed as the Doctor. The Doctor is always a popular cosplay but I still had a ton of fun wearing it. Sunday is always steampunk day for me. 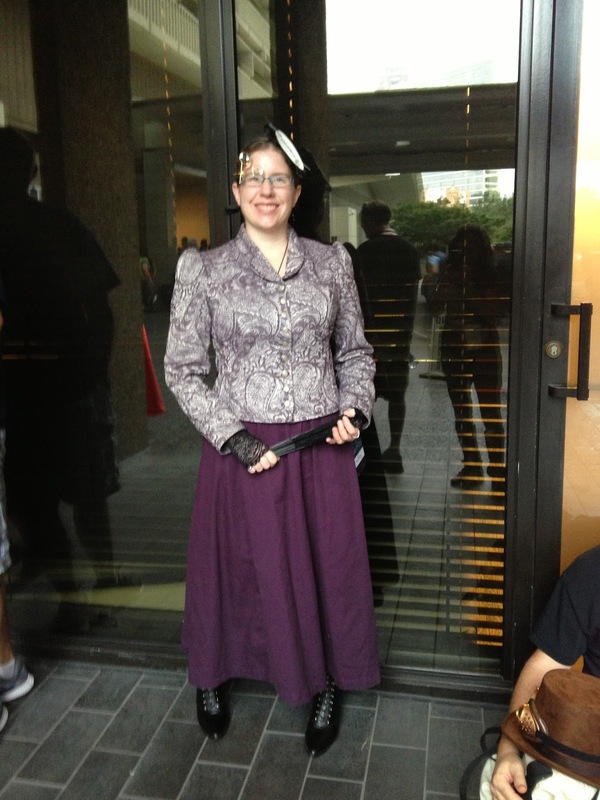 I've been wearing the same Victorian suit for the Sunday of DragonCon for the past three years, but I still think it goes over well. Though I have plans to change things up for next year. I wore a Camp Jupiter shirt on Monday but I had to accessorize it with my Nova boots and a steampunk hat I had just purchased, so it became less of a cosplay and more of a "things that don't fit in my suitcase" look. So I didn't take a picture of it. So those were my cosplays from DragonCon 2013! If you cosplayed please share! Put a link or pictures in the comments! And if you want any specific information on my cosplays, how I made things or wear I purchased them, just ask! I'm always willing to help!